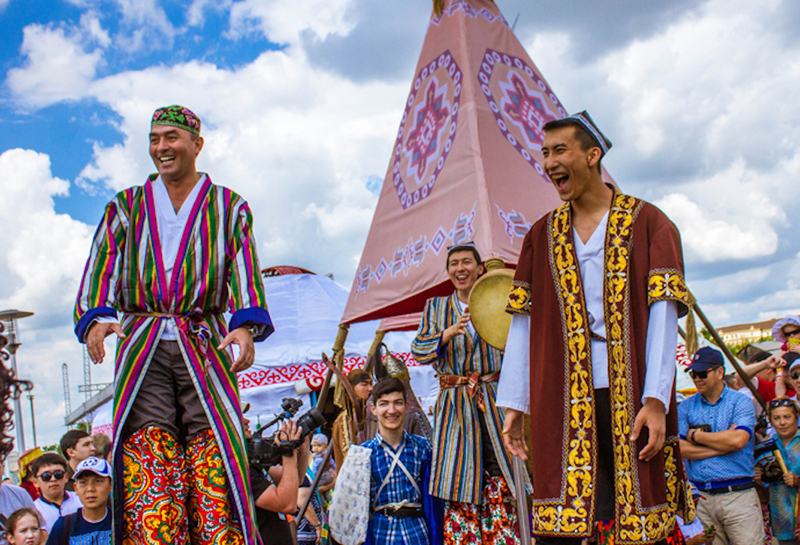 Central Asian states are continuing a decades-long trend of moving away from Russian and towards their own majority indigenous languages. After gaining independence in 1991, Kazakhstan, Kyrgyzstan, Tajikistan, Turkmenistan and Uzbekistan all raised the status of their nation's languages, deeming Kazakh, Kyrgyz, Tajik, Turkmen and Uzbek, respectively, as state languages. The next step has been to move away from Cyrillic to the Latin alphabet -- a long process that has taken many years. Uzbekistan was first to make such a change, and the process to do so began in the early 1990s. In 2001, Uzbekistan began using the Latin alphabet on coins, and by 2004, some official websites had switched. Oʻzbekiston telekanali, the country's main TV channel, switched alphabets for Uzbek writing. Workers nationwide have replaced most street signs. Kyrgyzstan and Tajikistan still use Cyrillic. Kazakhstan is undergoing an orthographic transition similar to Uzbekistan's. Kazakh President Nursultan Nazarbayev April 12, 2017, set out a timeline for his country to switch from Cyrillic to the Latin alphabet as part of a modernisation drive. As part of the plan, the country intends to switch to the Latin alphabet by 2025. In Kostanay Province, mostly populated by Russian-speaking residents with little or no knowledge of Kazakh, officials plan to romanise signs for all buildings housing government agencies and public institutions in 2019. This year will be a busy one in Kostanay in this matter, Kostanay Governor Arkhimed Mukhambetov, who ordered the change, said during a public discussion at the provincial administration office on January 21. 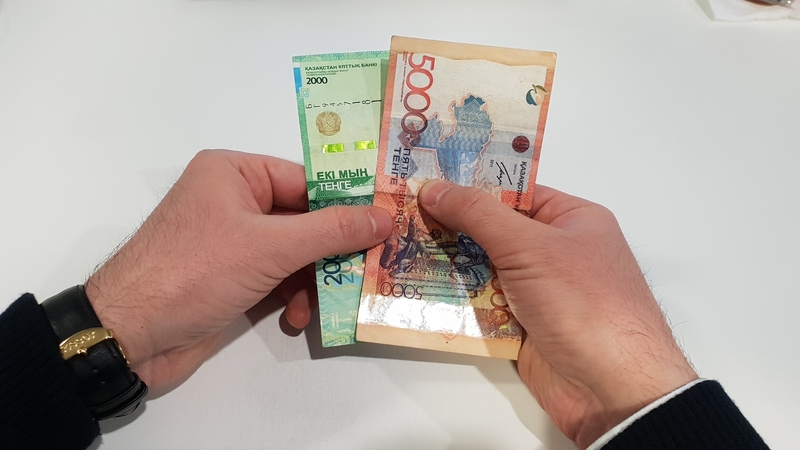 Local authorities have allocated more than 19 million KZT ($50,000) for the transition to Latin script, Guljan Mendekinova, chief of the Kostanay Province Languages Development Department, said during the discussion. Half of the budget was spent by non-governmental organisations that implemented 21 social projects, she said. Many schools have updated their signage, which now give their names in the Latin alphabet, Mendekinova said, adding that visual information on new buildings and in other community facilities, such as parks and squares, must be presented in Latin script. Other sectors are also going along with the change. Beginning in 2018, local TV channels and newspapers began switching to Latin script, Kazinform reported. Murat Dilmanov, a cartoonist in Almaty, said he supports the orthographic transition. "I like Kazakh in Latin script. I just hope that the new alphabet does not have a negative effect on the grammar," he told Caravanserai. Kazakhstan has plenty of problems more significant than a squabble over alphabets, say detractors of the new policy. "We certainly have enough problems, but we need to build our own house, not use an old slum," said Dilmanov in response to such criticism. Similar demands to shift from Cyrillic to Latin are being made in neighbouring Kyrgyzstan as well. Kyrgyz activists, however, are first calling for a national referendum to decide the fate of the Russian language in the country. Members of the "Kyrgyzstan: Yesterday, Today and Tomorrow" -- the 47 organisations -- including political parties, activist groups and civic groups, January 15 raised the question of stripping the Russian language of its official status, local media reported. Kyrgyzstan should have only one state language -- Kyrgyz, they argue. Scholars have developed a draft law on constitutional reform and propose holding a referendum on November 24. Kyrgyzstan enacted a law in May 2000 designating Kyrgyz as the state language and Russian as the official language, both of which may be used in all public and legal spheres as well as in inter-ethnic communication. The move put Kyrgyz and Russian at almost the same level, although Kyrgyz technically outranks Russian. The law was based on a decree issued on May 24, 2000, by then-President Askar Akayev regarding the development of the Russian language. The decree was meant to dissuade Russian speakers, disproportionately wealthy and skilled, from leaving the country and to counter discrimination against them after the Kyrgyz majority began running the country. Roughly 400,000 citizens left Kyrgyzstan between 1991 and 2000, according to the National Statistics Committee of Kyrgyzstan. The majority migrated to Russia. "In the 1993 constitution, the Russian language did not have official status," said Aybek Buzurmankulov, a social activist from Bishkek and a member of the kurultai's organising committee. At that time, the constitution designated Kyrgyz as the state language of the country, while protecting the "preservation, equal and free development and functioning of the Russian language and all other languages which are used by the population of the republic". When Akayev elevated Russian as the official language in 2000, it violated the 1993 constitution's enshrinement of Kyrgyz as the country's main tongue, according to Azimbek Beknazarov, former prosecutor general and former member of parliament. "This raises the question -- if this initiative took effect in violation of the country's Fundamental Law, why not go back and reconsider it?" he said to Caravanserai, adding the issue has resurfaced in recent weeks among the Kyrgyz population. "Today we're a sovereign state, and we have the right to raise the question of switching to the Latin alphabet like our neighbor Kazakhstan," he said, referring to an effort to start writing Kyrgyz in Latin script. "As a member of the United Nations, we must bring our language and culture to the world level." Once Kyrgyzstan designated Russian as the official language in 2000, the Kyrgyz language stopped evolving, he said, referring to the complexity and increased vocabulary that Kyrgyz was starting to acquire in its 1990s role as the undisputed main language in the country. "We must write laws in our state language, and the Russian language should remain an international language, like English," he said. Voters will decide in the November referendum whether to strip the Russian language of its official status, Beknazarov said. 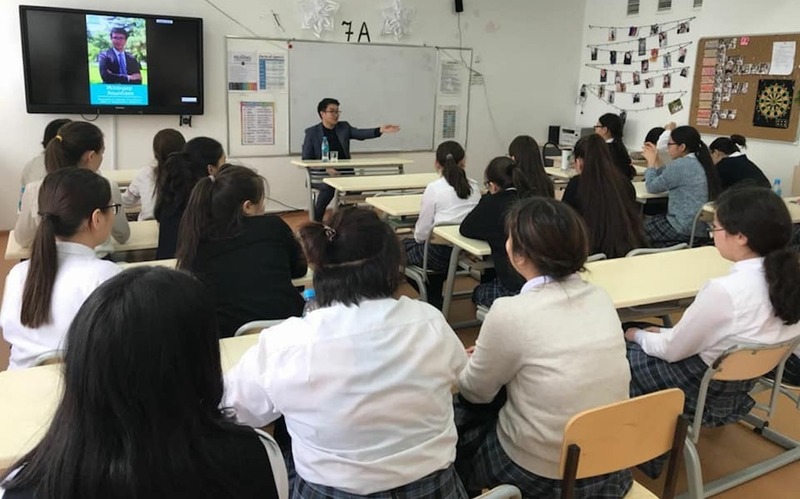 The strengthening of the Kyrgyz language represents the natural formative process of Kyrgyz society's identity, said Bishkek-based political strategist Timur Isabayev. "This is our language, our culture, our everything. Of course, we must give support," he told Caravanserai. Shifting to Latin makes no sense in Tajikistan since they are not Turkic people. And why do you think only the Turkic peoples can shift to the Latin alphabet??? Starting this academic year, a number of Astana schools will use the Latin alphabet to teach the Kazakh language, say officials. Kazakhstan has approved a currency redesign including symbols of the country's national and cultural identity. Russia says it has taken notice. Many residents see no reason to keep names ending in "-ov" or "-ev" 27 years after the fall of the Soviet Union.